These premium grade ENplus®A1 wood pellets conform to the highest quality standards in the market, with an extremely low moisture and ash content, making them ideal for use on wood pellet boilers and stoves. They’re also supplied in easy to handle 10kg bags which mean they’re easier to store wherever you like. 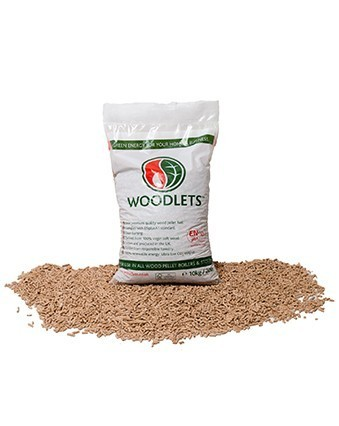 Our bagged wood pellets provide an ideal solution for a smaller heating system and are ideal as an emergency back-up. Bagged wood pellets can be delivered directly to your home or business on next day or economy delivery. 5% VAT – for end user i.e. if it’s going into your boiler. 20% VAT – for any other use i.e. if you are reselling.